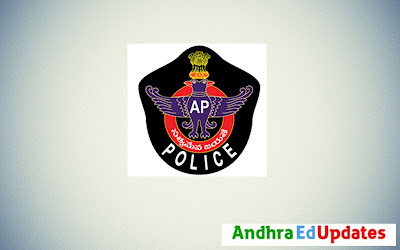 AP Police recruitment for SCT Stipendiary Cadet Trainee, warders, firemen 2018 || slprb.ap.gov.in - AndhraEdUpdates | APPSC Notifications, CET exams, etc. The State Level Police Recruitment Board(SLPRB) has recently announced 2723 posts recruitment of several Stipendiary cadet trainees, warder, firemen through an official advertisement for aspirants who have been waiting for this notification. Those who are interested and fulfill the eligibility criteria can apply for the posts online. (i) For the posts mentioned against the Post Code Nos. 21 & 22 Men & Women are eligible. (ii) For the posts mentioned against the Post Code Nos. 23, 24 & 26 Men only are eligible. (iii) For the posts mentioned against the Post Code Nos. 25 Women only are eligible. For Post Code Nos. 21, 22, & 23 Candidates must have attained the age of 18 years and must not have attained the age of 22 as on 1st July 2018. Separate age limit rules apply for Currently working Home Guards who are locals of Andhra Pradesh. For Post Code Nos 24, 25, & 26 Candidates must have attained the age of 18 years and must not have attained the age of 30 as on 1st July 2018. Up to a maximum of five years if a candidate belongs to Backward Class or Scheduled Caste or a Scheduled Tribe. Length of regular service limited upto a maximum five years if a candidate is an employee of A.P State Government(Employees of APTRANSCO, Discoms, APGENCO, APSRTC, Corporations, Municipalities, Local bodies etc. are not entitled to age relaxation). Three years in addition to the length of service rendered in the Army, Naval or Air Force of the Union for the candidates who served in the Army, Naval or Air Force of the Union. Three years in addition to the length of service rendered as a whole time Cadet Corps Instructor in NCC provided the candidate rendered a minimum service of 6 months a whole time Cadet Corps Instructor in NCC. Upto a maximum of three years if a candidate is a retrenched temporary employee in the State Census Department with a minimum service of 6 months during 1991. For Post Code Nos. 21, 22, 24 & 26 The candidate must hold, as on 1st July 2018, Intermediate or its equivalent examination recognized by the State Government of Andhra Pradesh. In the case of a candidate belonging to Scheduled Castes or Scheduled Tribes, as on 1st July 2018, he/ she must have passed SSC or its equivalent examination recognized by the State Government and should have studied Intermediate and appeared for the Intermediate examinations in both the 1st year and 2nd year. For Post Code Nos. 24 & 25 The candidate must hold, as on 1st July 2018, Intermediate or its equivalent examination recognized by the State Government of Andhra Pradesh.